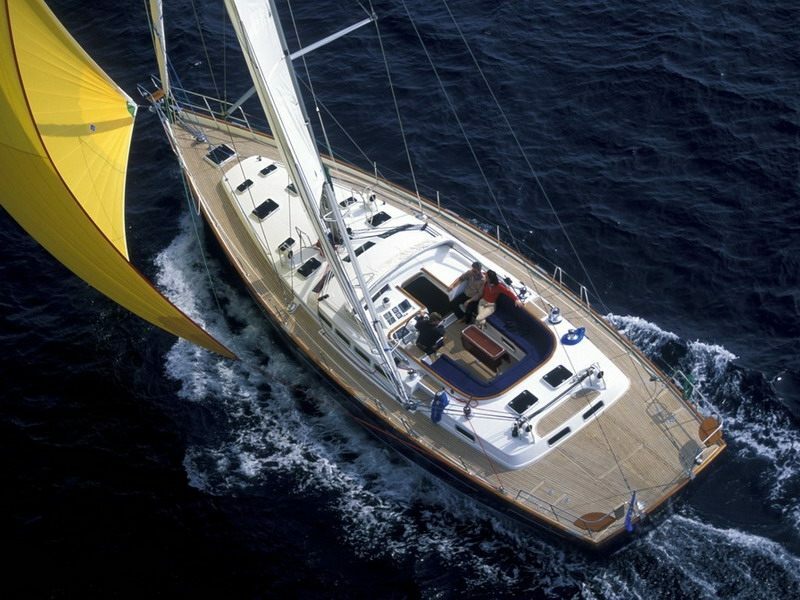 The Beneteau 57 is a sleek sailing yacht, with sophisticated features in both outdoor and indoor areas. 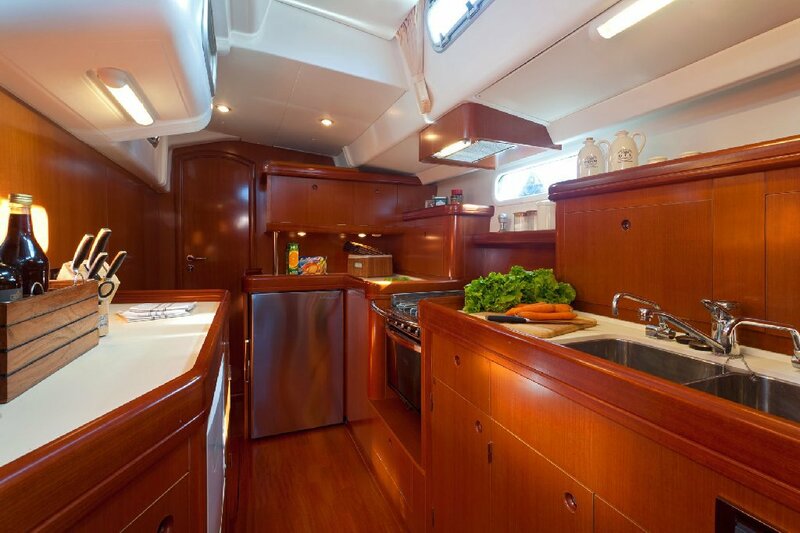 See Beneteau 57 layout and Beneteau photos. 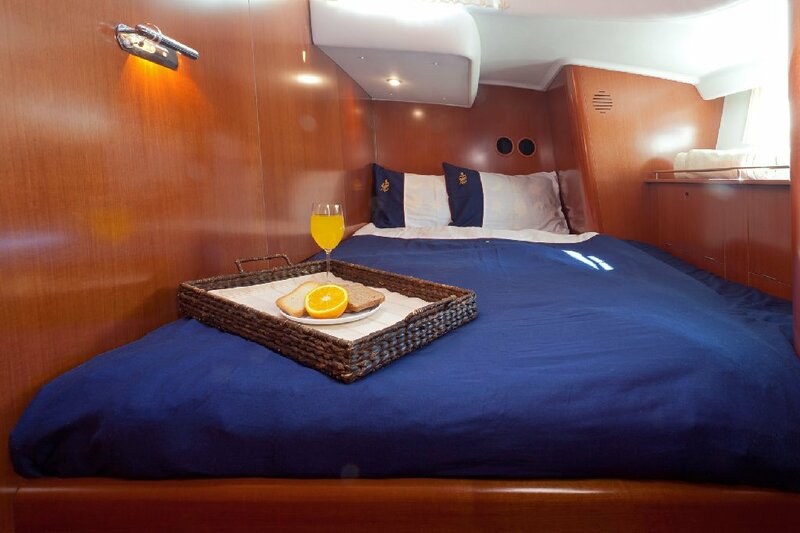 This sailing yacht is equipped with an abundance of facilities, ensuring high performance, comfortable accommodation, and absolute safety. 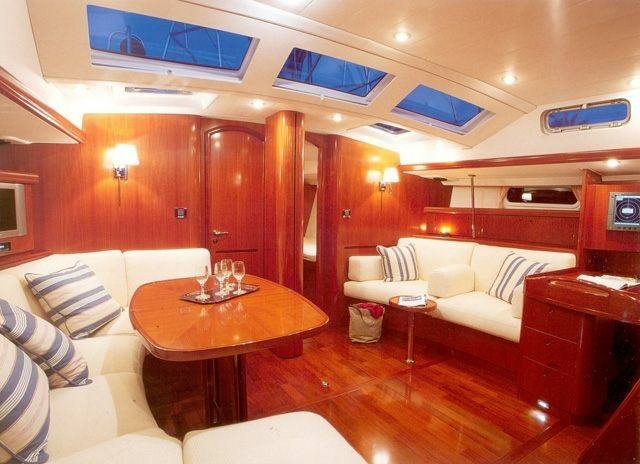 Its deck is quite spacious for both lounging and sunbathing. The salon is luxurious, with dining facilities, settees and ample storage space. 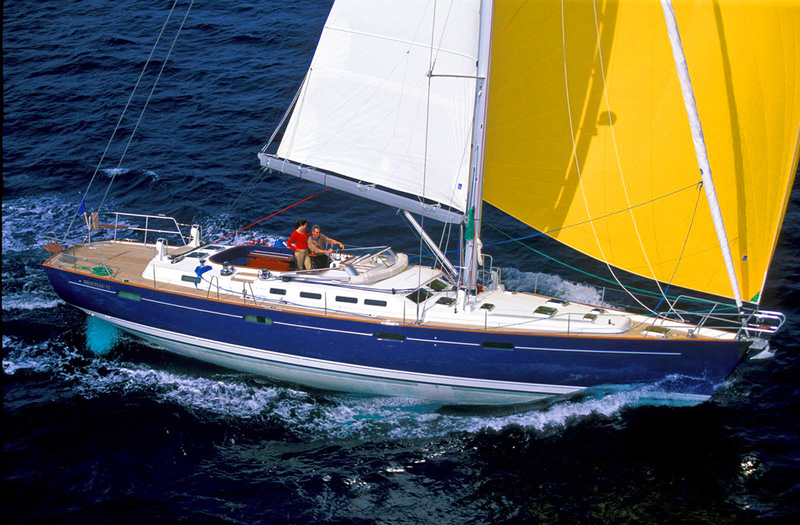 The Beneteau 57 is ideal for sailing yacht charter in Greece. 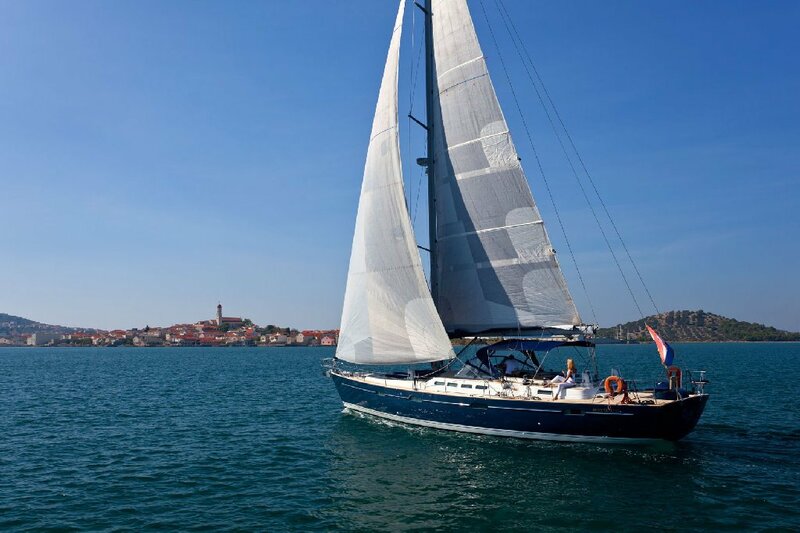 Sail to the Greek Islands in comfort and luxury!